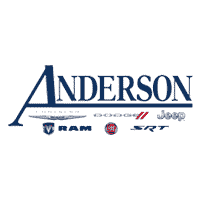 At Anderson Chrysler, we understand that choosing between various car financing programs can be difficult or confusing. That’s why we work to understand our customer’s needs, and partner with area and national lenders to offer some great deals on Chrysler, Dodge, Ram, Jeep and FIAT auto loans or leases in Lake Havasu City, AZ. We provide you with easy to comprehend car loan and lease options. Our Arizona car loan experts will explain the details and offer you a customized program. For a car loan in the Lake Havasu City area, give Anderson Chrysler’s finance team a call, or visit us at 3920 North Highway 95. You can also contact us by filling out our financing contact form below. We look forward to hearing from you, and serving your Arizona car financing needs. We are here to get you behind the wheel of a new Chrysler, Dodge, Jeep, Ram, FIAT, or used car today!